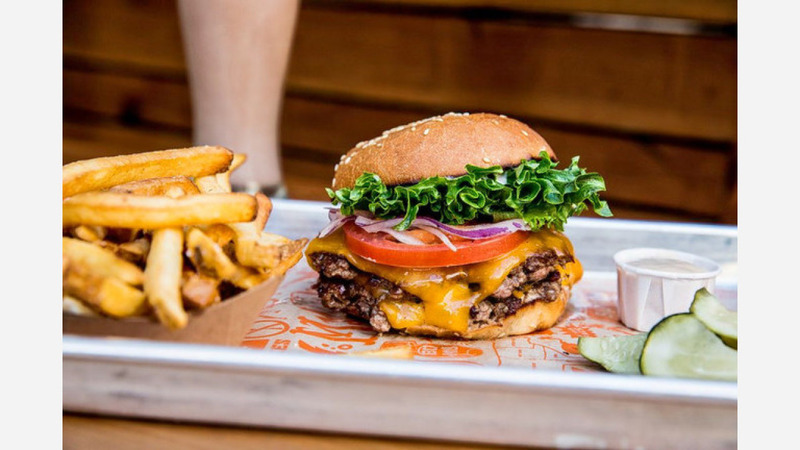 A new traditional American spot offering burgers and more has opened up in the neighborhood. Located at 2355 Telegraph Ave., the fresh addition is called Super Duper Burgers. The burger shop, which has an additional East Bay outpost in Concord and several locations in the Bay Area, took over the space that used to belong to Smart Alec's Intelligent Food. The menu features a super burger, a mini burger, a chicken sandwich and a veggie burger, along with a super salad and two sides, including french fries and garlic fries. Beverage options include soda, iced tea, lemonade, beer and wine. With a four-star rating out of 28 reviews on Yelp so far, Super Duper Burgers is getting solid feedback from clientele. Sandra S., among the first Yelpers to review the new spot on July 8, wrote, "The first time I went, I got their chicken sandwich, and it was good. Their garlic fries were a little greasier, but still good. I had to try their shake and their burger, so I came again with a group of friends and got exactly that. "The kid's-sized soft serve turned out to be a pretty big portion. One bite in and I melted," added Kristine P. "The chocolate shell had a good crunch and the ice cream itself was sooo creamy and delicious." Head on over to check it out: Super Duper Burgers is open from 11 a.m.-9 p.m. daily.